Epic actually rolled out the App Orchard site early this year, but this is the first public access to the apps it contains. Epic’s 1.5-day App Orchard Conference will be held November 9-10 at its Verona, WI campus. From Kim Wisconsin: “Re: Epic UGM. 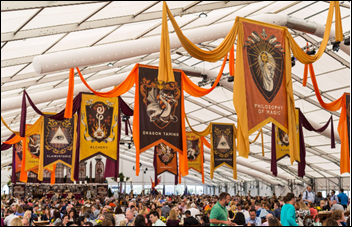 Clients watched KLAS VP Taylor Davis and Judy Faulkner prance together in wizard costumes on stage. Needless spending on top of what it cost Epic to attain Best in KLAS?” Unverified. Epic’s UGM involves a lot of voluntary whimsy and I’m OK with that, but I’m always skeptical of KLAS’s objectivity and having one of its executive participate in a vendor’s user group meeting skit does little to allay my concerns. Imagine a Consumer Reports editor cavorting on stage at a Ford PR event, although that’s unfair since KLAS is light-years away from the objectivity and science behind Consumer Reports despite the inevitable industry comparisons. Still, customers of both Epic and KLAS make their own informed decisions, so they know what they’re buying and it’s nobody else’s business. From George St. Short: “Re: executive attributes. What is your observation about strengths and weaknesses and how it affects companies?” That’s a broad topic, but I will summarize thusly. Most of us know our strengths. We don’t, however, know our weaknesses, and that’s where we stumble. Just ask the people you work with to list what you’re bad at. Try to improve, get someone else to handle that function, or both. From The Mechanic: “Re: Athenahealth. 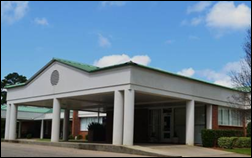 One of its 35-bed inpatient sites is already leaving them and returning to CPSI.” Jackson Medical Center (AL) says collections dropped 75 percent after they implemented Athenahealth, so they’ve gone back to the Thrive EHR solution offered by CPSI subsidiary Evident in what they call a fairly easy transition. From Super Bee: “Re: EClinicalWorks. Cold call emails cite an ‘AmericanEHR’ survey that finds EHR tops at many categories. It would be more impactful if they actually provided the study, but in addition, ECW isn’t on any of that site’s Top 10 lists.” That site doesn’t inspire a lot of confidence with outdated information and no recent news items. 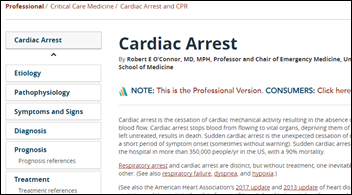 It was developed by the American College of Physicians to sell reports and to charge EHR vendors to create profiles on its site or to run ads. Its top five EHRs by user satisfaction are CattailsMD (which I thought was long gone or at least renamed, but maybe not), Praxis, Waiting Room Solutions, ABELMed, and Sevocity. From Beefy Goodness: “Re: ONC’s inpatient EHR certification stats. 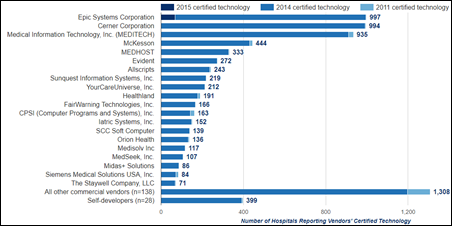 Epic has overtaken Cerner for the #1 spot in data updated through July.” The chart is above, although it also list hospitals using Siemens Medical Solutions that might be reasonably added to Cerner’s total to keep it on top. Epic is the only vendor that has customers using 2015 certified technology. Also note that while the data source was updated in July 2017, the graphic depicts only participation through the 2016 program year. From Spacemen Collection: “Re: Sunquest. President Matt Hawkins is leaving, to be replaced by Mike Epplen, who has been president of fellow Roper acquisitions Data Innovations and Atlas Medical.” Unverified, although the non-anonymous source is solid. UPDATE: Hawkins will become CEO of the combined Navicure-ZirMed when that merger is completed in early November. From Frank Sumatra: “Re: MyWay. Physicians are telling me that Allscripts will shut off the hosted version within five weeks, but can’t get them their data for 12 weeks. Practices will also have to pay $5,000.” Unverified. I invited the Allscripts media contact to comment but haven’t heard back. MyWay was retired several years ago as I recall to avoid adding ICD-10 support, so practices have had five years to seek an alternative. MyWay is disproportionately represented among the many embarrassing points in the company’s history (search HIStalk for a fond look back). Welcome to new HIStalk Platinum Sponsor Vocera. The San Jose, CA-based company offers the leading platform for clinical communication and workflow, with 1,400 hospital and health system customers around the world using smartphone-based secure texting or making hands-free calls using the Vocera Badge. 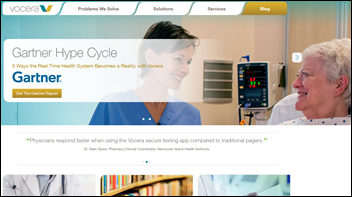 Vocera interoperates with 120 clinical systems to reduce alarm fatigue, reduces staff response time, and improves patient care, safety, and experience. Vocera ensures that critical information reaches the right person at the right time on the right device, or as Halifax Health VP/CIO Tom Stafford says, “There is no other communication solution I’m aware of that can send a notification as closely and instantly to a nurse than the Vocera system.” Hospitals use the system to increase ED and OR throughput, prioritize clinical alerts, optimize patient placement, improve collaboration, strengthen patient communication, and reduce care team burnout. Halifax Health just implemented a real-time sepsis surveillance program by integrating Wolters Kluwer Health’s POC Advisor with its Vocera technology to quickly alert clinicians of a potential sepsis case, while Dayton Children’s Hospital (OH) connects pediatric patients to nurses by connecting Hill-Rom’s nurse call system with :Star Trek”-like Vocera badges to alert them when the child presses buttons for “pain” or “potty.” Gartner’s Hype Cycle report names Vocera as an example of a technology vendor with offerings in several categories of the real-time health system. Thanks to Vocera for supporting HIStalk. I found this new YouTube video that describes Halifax Health’s use of Vocera in its ED. This week on HIStalk Practice: Volunteers in Medicine Clinic Executive Director Raymond Cox, MD discusses the role data access plays in caring for the underserved. PeakMed Direct Primary Care founder and CMO Mark Tomasulo, DO shares his thoughts on the ways attempts at health insurance reform are driving the DPC business model. Deadline extended: HIStalk sponsors, submit your MGMA details for inclusion in our annual must-see vendor’s guide over at HIStalk Practice. October 17 (Tuesday) noon ET. “Improve Care and Save Clinician Time by Streamlining Specialty Drug Prescribing.” Sponsored by: ZappRX. Presenter: Jeremy Feldman, MD, director, pulmonary hypertension and advanced lung disease program and medical director of research, Arizona Pulmonary Specialists. Physicians who treat pulmonary arterial hypertension can spend an average of 20 minutes to prescribe a single specialty drug and untold extra hours each month completing prior authorization (PA) paperwork to get patients the medications they need. This webinar will describe how Arizona Pulmonary Associates automated the inefficient specialty drug ordering process to improve patient care while saving its clinicians time. 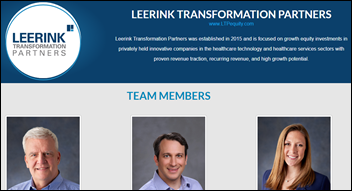 Leerink Transformation Partners forms its first healthcare IT growth equity fund with $313 million in assets under management, led by managing partners Todd Cozzens (Marquette Medical, Picis, Optum) and Jared Kesselheim, MD, MBA, both previously with Sequoia Capital and Bain Capital Ventures. The fund’s initial investments are Outcome Health, Scientist.com, Vera Whole Health, PatientPing, Health Catalyst, and Kyruus. IBM, which has laid off a significant part of its US workforce, now employs more people in India than in the USA, supporting the theory that low-cost overseas labor moves up the food chain from hardware assemblers to knowledge workers. 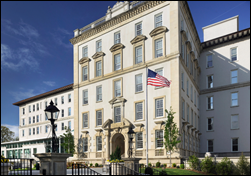 Emory Healthcare (GA) chooses Kyruus’s provider data management and patient access solutions. 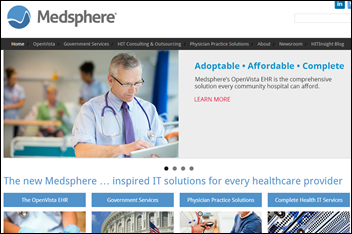 South Africa’s Areta Health will implement Medsphere’s subscription-licensed, cloud-hosted healthcare IT solutions in its Specialist Day Hospital system. UW Medicine (WA) hires Joy Grosser (University Hospitals) as CIO. She had been CIO of University Hospitals for just over a year. Ed Gaudet (Iboss Cybersecurity) joins Censio as CEO. CheckedUp hires Jim Decker (AMD Group) as VP. Seattle Children’s (WA) promotes Eric Tham, MD, MS to VP and associate CIO over research IT, clinical applications, and analytics. 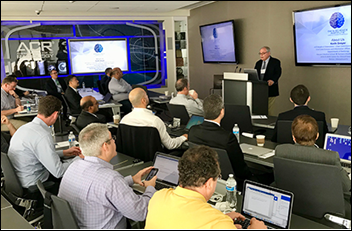 The American College of Radiology’s newly formed Data Science Institute hosts its first meeting in its Reston, VA headquarters, convening an international group of artificial intelligence experts, device vendors, and physicians to discuss the use of algorithms in clinical workflows. ACR DSI is building consensus around a vendor-neutral framework to apply AI to patient care that will include developing imaging use cases, setting interoperability standards, testing algorithms, and addressing regulatory issues. Society for Imaging Informatics in Medicine holds its second conference on using machine intelligence in medical imaging (SIIM C-MIMI) at Johns Hopkins Medicine, with keynotes offered by presenters from Google Cloud and the FDA. Allscripts will integrate medical reference and patient education information from Merck Manuals into its EHRs via an HL7-compliant Infobutton. Nuance releases Dragon Medical Virtual Assistant, which applies voice biometrics and text-to-speech via a smart speaker conversational user interface to automate high-value EHR clinical workflows. 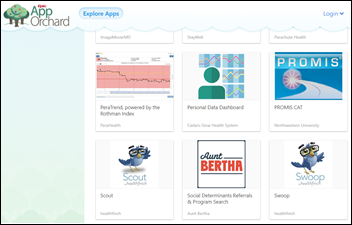 Lightbeam Health Solutions will integrate AI technology from DocSynk into its population health management platform to improve identification and targeting of patient groups. 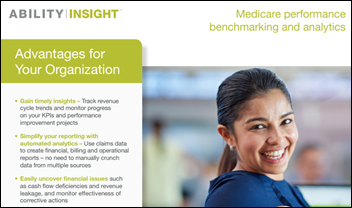 Ability Network announces the Ability Insight Medicare revenue cycle analytics and benchmarking application for SNFs, home health agencies, and other LTPAC organizations. Talent management solutions vendor HealthcareSource launches a healthcare job search site that is integrated with its Position Manager applicant tracking system. The company’s CEO is industry long-timer J.P. Fingado (API Healthcare, Cerner, Dynamic Healthcare Technologies). 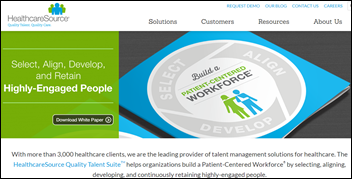 HealthcareSource says it has 3,000 healthcare customers of its Quality Talent Suite. Healthcare Growth Partners posts the first in a six-part series on due diligence in health IT transactions, this installment covering accounting and tax considerations. The Department of Justice charges several executives of for-profit hospital operator Tenet Healthcare with Medicaid fraud, claiming that some of its Atlanta-based facilities paid $12 million in kickbacks to a medical clinic that serves pregnant women who are in the US illegally, steering them to Tenet hospitals for their deliveries that were then billed to Medicaid for $400 million. A report on veteran suicide by the VA OIG finds that despite federal mandates going back to 2014, the Department of Defense still does not share attempted suicide information from its DOD Suicide Event Report system with the VA. The report also notes that 11 percent of the patients identified by the VA as being high risk for suicide did not have a suicide prevention safety plan in their EHR record and that the VA’s use of EHR suicide risk flags could be improved. A previous report found that veterans have a 21 percent higher suicide risk compared to civilians, with 20 of them killing themselves each day, 30 percent of those after recent VA visits. Former HHS CIO Frank Baitman says he doesn’t understand why Healthcare.gov needs to go offline for 12 hours every Sunday (including the first day of open enrollment period) as announced by HHS. The system was down less than 1 percent in previous years vs. a scheduled 6.6 percent this year, triggering several letters from senators to CMS Administrator Seema Verma questioning whether the impetus is political rather than technical. The open enrollment period has already been reduced from 12 weeks to six and outreach programs for signups have been cut almost entirely. Fujitsu develops a wearable, hands-free speech translation device that can identify the voices of two speakers and translate their speech into the other’s language. The company claims 95 percent accuracy in a typical hospital setting. It was developed to help hospitals in Japan converse with their patients who don’t speak Japanese. CEO Judy Faulkner talks up Epic’s new Share Everywhere, which allows any provider (even those who don’t use an EHR) to view a patient’s records via C-CDA. Faulkner advocates eliminated the term “electronic medical record” in favor of the “comprehensive medical record,” which of course why the term “electronic health record” was created to describe systems that manage information extending beyond the four walls (at least for that term’s first five minutes of life, after which overzealous and often crappy EHR vendors misappropriated the term to describe their unchanged systems to sound sexier). 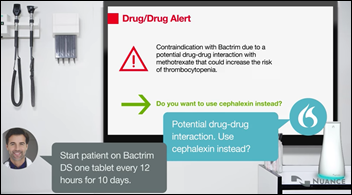 Epic demonstrated the use of consumer technology such as Google Home and Amazon Echo that can allow patients to connect to MyChart to request prescription refills. The company announced Payment Guardian for reimbursement. Epic is working on using artificial intelligence to assist clinician users, with Epic being noted this week in Microsoft’s Ignite Vision keynote speech by CEO Satya Nadella as an AI-first healthcare leader. CVS joins the opioid abuse fight in a puzzling manner, limiting new opiate patients who are covered by insurance to a seven-day prescription supply, limiting the number of doses its pharmacists will dispense based on product strength, and declining to dispense extended-release opiates until immediate-release products have been tried. It’s interesting that a drugstore chain – which has limited access to a patient’s medical history – feels it needs to override physician prescriptions, although certainly state medical boards, pharmacy boards, and other overseers haven’t made much of a dent in questionable opiate prescribing. This might be a good early warning. 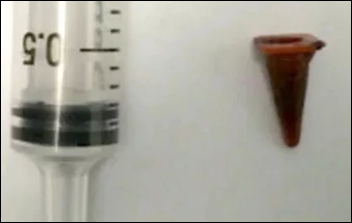 Doctors performing a bronchoscopy on a long-term smoker find that his lung mass isn’t cancer, but instead is an easily removed plastic play set traffic cone he swallowed as a child, which caused no symptoms until 40 years later. Robert Lord, co-founder and president of Protenus, is chosen as a New America Cybersecurity Policy Fellow, where he will focus on defining the program’s next-generation healthcare cybersecurity efforts. 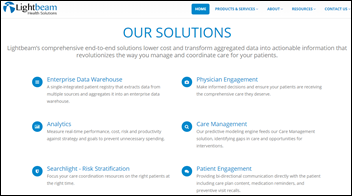 Lightbeam Health Solutions publishes a case study describing Princeton HealthCare System’s 15 percent reduction in inpatient admissions after implementing the company’s population health management platform. Meditech AVP Cathy Turner, MBA, RN will serve on a panel at Northeastern University’s Nurse Innovation and Entrepreneurship Summit this week. EClinicalWorks will exhibit at Health 2.0 October 1-4 in Santa Clara, CA. Iatric Systems will exhibit at the HCCA Regional Conference September 29 in Indianapolis. Boston Voyager profiles Image Stream Medical CEO Eddie Mitchell. InterSystems will exhibit at the CompuGroup Medical User Conference October 3-5 in Las Vegas. Intelligent Medical Objects Senior Software Engineer Yunwei Wang becomes the first to successfully complete the Health Level Seven International inaugural HL7 Proficiency Exam. Kyruus will exhibit at the Boston Bar Association’s Life Sciences Conference October 3 in Cambridge, MA. FYI – the UW CIO is actually for UW in Washington, not Wisconsin as listed. Thanks. Now I remember why I dislike cutely terse but non-unique abbreviations. It’s still alive, but no longer being commercially marketed. Marshfield Clinic’s staff continues to use it while awaiting it’s replacement, Clinicals, which has fallen even further behind schedule. While the net benefit to the efforts to stem the tide of opiate addiction issues seems unclear the benefit of additional foot traffic in CVS stores because of this policy seems pretty clear. Free PR and more sales of SmartWater and gum. As someone who attended the executive address, I want to dispel the notion that KLAS participated in any sort of whimsical skit. Judy invited Taylor to speak during her portion to go over the preliminary results of a study KLAS is conducting (that more organizations should participate in, regardless of vendor). There was no skit, although Taylor was in wizard garb in keeping with the event theme. His message was more focused on what groups can do to improve things like provider satisfaction based on their data. Certainly the new offering was a reason to be there and a positive one no doubt. However the simple act of dressing up and being on stage with the CEO does imply a much higher level of coziness to the relationship between the two. This would be the impression regardless of what it is that ties the two organizations together. What makes it actually bad is the actual nature of the relationship between the the two organizations they lead, what KLAS advertises itself as, and the role it is supposed to play in the industry. I doubt you would see a VP of the ACLU playing dress up and on stage with the President or a member of the Supreme Court.